NAIROBI – GOVERNMENT and the private sector have pledged to leverage information and communication technologies (ICTs) to achieve Kenya’s economic ambitions as well help the country attain its sustainable development goals (SDGs). Some 50 chief executive officers and experts from development partners, businesses and academia met to develop a set of recommendations on how to leverage ICT to achieve these aspirations, which include the Big Four Agenda of the government. SDG Partnership Platform Kenya, the United Nations, ICT Authority, Huawei and GlobeScan organised the roundtable, which is a precursor to the Connected Summit taking place this week in the capital Nairobi. It will bring over 500 participants together to further discuss these issues. John Sergon, Acting CEO of the ICT Authority, expressed the importance of to bring together important stakeholders related to ICT, the Big Four and SDG agenda to drive momentum and create opportunities for partnerships. “This is why events such as this and Connected are so important,” Sergon said. He said Kenya was already a leading light in Africa for progress in ICT infrastructure, ICT ecosystem and e-government. “We must build on this to bring further social and economic benefits to our citizens. 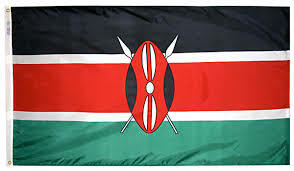 We look forward to taking these recommendations forward into Connected taking place at Bomas of Kenya next week,” Sergon said. Ruben Vellenga, Partnership Specialist at the SDG Partnership Platform of the United Nations Office in Kenya, concurred. “ICT can be a critical enabler of the Big Four agenda and this roundtable has developed some clear recommendations for what we can all do, working in partnership together,” Vellenga said. Adam Lane, Senior Director of Public Affairs at Huawei, emphasised on the importance of multinational companies to utilize their high-tech innovations to work with local partners in government, academia, start-ups and non-profits to bring real tangible benefits to local people. He said the Big Four agenda and the SDGs were a strong guiding framework for us in developing and implementing solutions to transform Kenya and Kenyans. “Our recently launched Sustainability Report shows how we are partnering to contribute where we can and we continually seek to do more,” Lane said. Manufacturing, universal healthcare, affordable housing and food security are the pillars of the Big Four.